Be the first to share your favorite memory, photo or story of Lance. This memorial page is dedicated for family, friends and future generations to celebrate the life of their loved one. 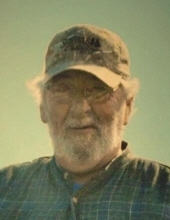 Lance W. Detty, 75, passed away, Saturday, January 26, 2019, at Fillmore County Hospital in Geneva, Nebraska. A Celebration of Life will be 2:00 pm, Saturday, February 2, 2019, at the All Saints Chapel at Good Samaritan Society in Hastings, Nebraska. All are invited for dessert and coffee follow services. In honoring his wish to be cremated there is no viewing or visitation. DeWitt Funeral Home is handling arrangements. Condolences can be left at www.dewittfuneral.comLance was born October 20, 1943, in Cozad, Nebraska the son of Weldon and Florence Detty. He was preceded in death his parents and sister, Lomagene Mowrey. Lance is survived by his children, Cami (Robert) Norman of Staplehurst, NE, Michael Detty of Hastings, NE, and Richard Detty of Omaha, NE. He will be dearly missed by his six grandchildren, Tarah (Antonio) Hemsath, Jeremiah Palage, Erik Brandt, Mikey Detty, Charlee Detty, Channing Detty, Kinzley Detty; and great-grandson, Andre Hemsath. To send flowers or a remembrance gift to the family of Lance W Detty, please visit our Tribute Store. "Email Address" would like to share the life celebration of Lance W Detty. Click on the "link" to go to share a favorite memory or leave a condolence message for the family.